I am thrilled to show you a brand new set of Thinlits that are coming in the new Occasions Catalogue in January. 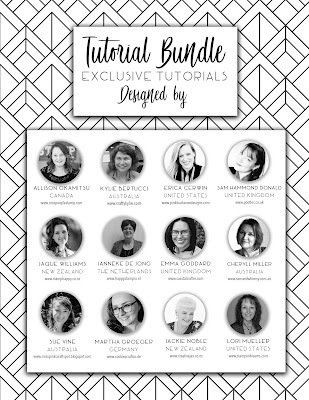 (5th December for Stampin' Up!® Demonstrators). 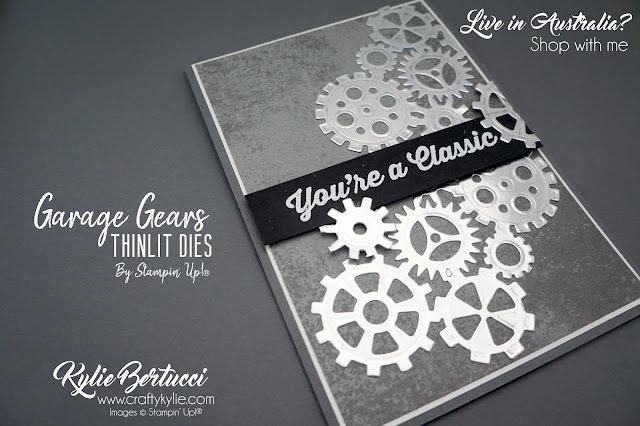 I used silver foil to cut out these cogs and I am in LOVE with this bundle. This awesome set has so many different creative ideas that you can gain from it. I love that it can be masculine and yet super funky and industrial too. I know that I would LOVE to recieve a card like this too. 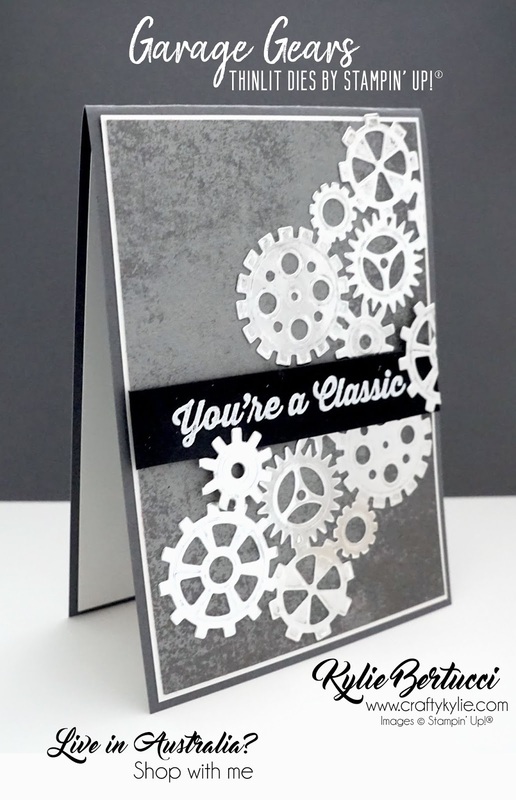 The amazing designer series paper is called Classic Garage and is so fun! 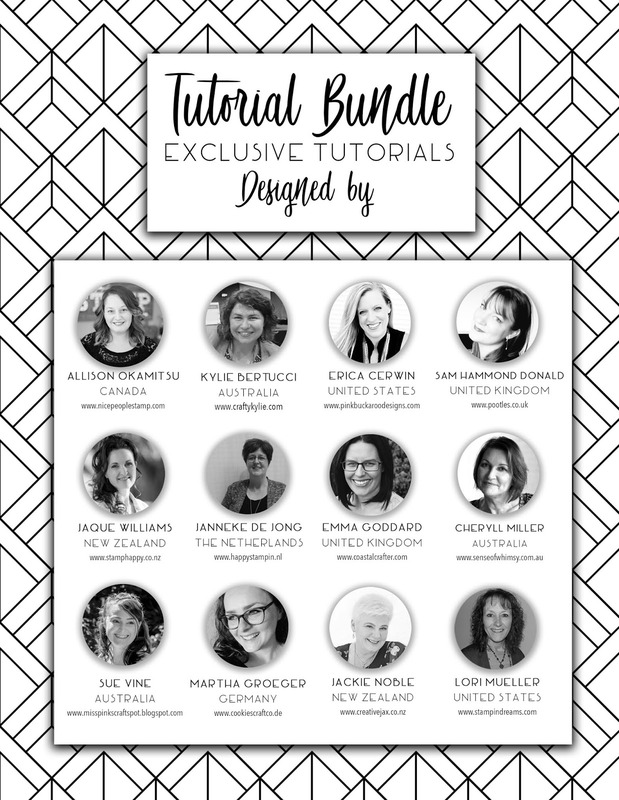 You will definitely want to #loveitchopit with this paper. I then used the stamp set Geared Up Garage for the sentiment that is embossed. I have so many possibilities and ideas for this set and I think it is going to be seriously SUPER popular. Thank you so much for coming by today! There are so many fantastic new things to look forward to in the new catlagoue.